The BoilerMaker G2 brew kettles have been completely redesigned from the ground up with world-class American engineering and quality US manufacturing! We've made a massive investment in tooling to build the best kettle on the planet right here at home. Using only the best materials, the BoilerMaker G2 line of brew kettles is ideal for homebrewing a1/2" sacrificing neither features or quality and available in perfect sizes. Bare bones kettles might lure you in with attractive prices. 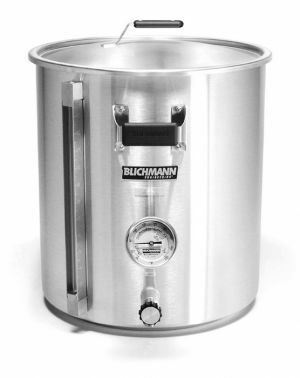 But by the time you add extra equipment you need or want - all standard in the BoilerMaker G2 - youa1/2a1/21/2ll find Blichmann brew kettles are the best value and will be handed down for generations to come! All models carry a limited lifetime warranty and available in Celsius or Fahrenheit models.